I am an experienced manufacturing jeweller and have been in the industry since 2003. I am passionate about quality custom made jewellery. I am an accredited member of the Australian Gold & Silversmiths Guild, and have won several awards for jewellery design and manufacture. I believe in honesty, integrity and the value of a good reputation - I will do everything possible to work with you to create your dream piece or restore your treasured jewellery. I strongly believe in the importance of quality hand-made pieces and the customer service only a manufacturing jeweller can provide. I love creating unique memorable pieces for the enjoyment of others, as well as myself, as I continue to strive for excellence and seek new challenges. I regard the quality of my work very seriously and aim to deliver a distinctive piece every time whether it is a repair or a make. I have won numerous awards for my work - however I am most proud of the State Medal piece that took me over 100 meticulous hours. I previously worked for several years for Anthony's Fine Jewellers as their Head Jeweller in their Brisbane Office. Prior to coming to Brisbane - my love of travel has taken me around the world and Australia. I previously worked in Canberra at Exquisite Jewellers as their sole Manufacturing Jeweller. Before that worked I worked at Watson's Jewellers in Tasmania as their Head Jeweller. 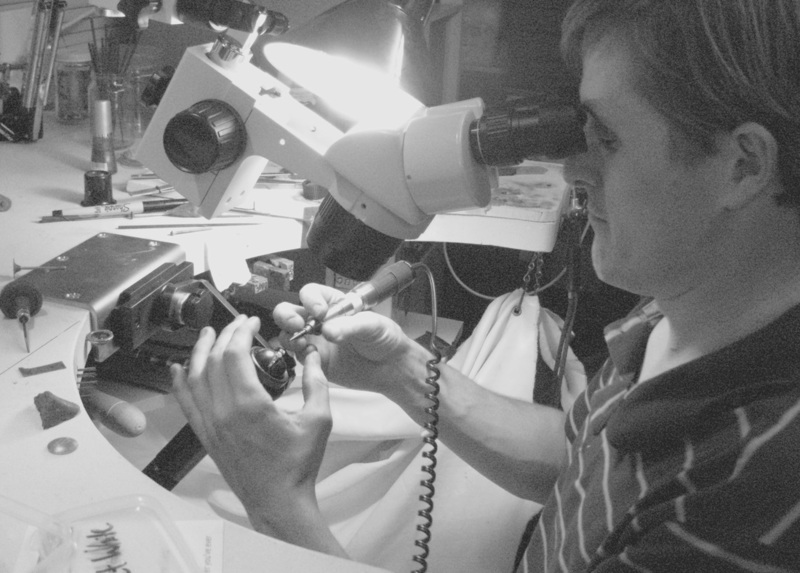 Prior, I had been in the UK and worked in the Lake District for a year with a fine jewellery Goldsmith. During my apprenticeship and early work years I worked in Bowral, NSW for Gryphon Jewellery and W.E Burchells until their retirement.